birthplace of the tech revolution, the San Francisco Bay Area. and manipulate citizens on a massive scale. 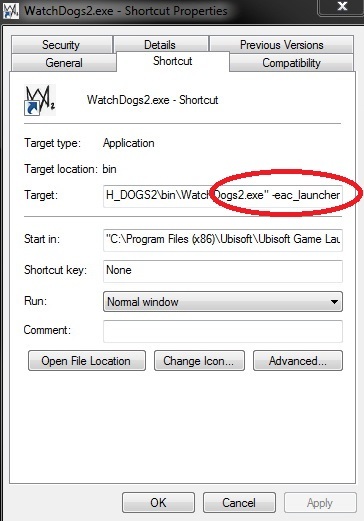 and adversarial multiplayer Watch Dogs experience. software, e che la Scena dev essere basata sul DIVERTIMENTO. Additional Notes: Periphericals: Microsoft Xbox One Controller, DUALSHOCKยฎ 4 Controller, Windows-compatible keyboard, mouse, optional controller / Multiplayer: 256 kbps or faster broadband connection / Note: This product supports 64-bit operating systems only. Laptop versions of these cards may work, but are not officially supported. For the most up-to-date requirement listings, please visit the FAQ on our support website at . High speed internet access and a valid Ubisoft account are required to activate the game after installation, to authenticate your system and continue gameplay after any re-activation, access online features, play online or unlock exclusive content. Additional Notes: SUPPORTED VIDEO CARDS AT TIME OF RELEASE: • NVIDIAยฎ GeForceยฎ GTX600 Series: GTX660 or better / GeForceยฎ GTX700 Series: GTX760 or better / GeForceยฎ GTX900 Series: GTX950 or better / GeForceยฎ GTX1000 Series: GTX1060 or better. • AMD Radeonโ„ข HD 7000 series: Radeonโ„ข HD7870 or better / Radeonโ„ข 200 series: Radeon R9 270 or better / Radeonโ„ข 300/Fury X series: Radeonโ„ข R9 370 or better / Radeon 400 series: Radeon RX460 or better.